Articles What is CGC? Is it for you? 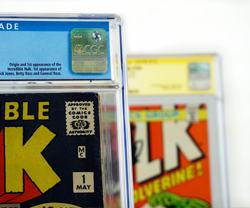 Even though you’d think CGC should have Comic Grading in it – it actually stands for Certificate Guaranty Company. 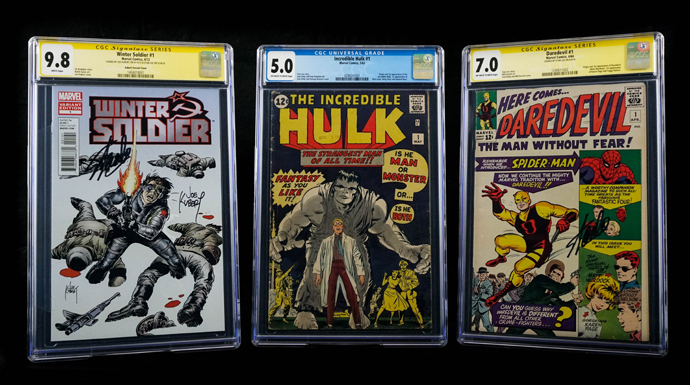 CGC prides itself on being an impartial comic grading service that provides a professional and impartial assessment of your comics’ quality. Your prized possession is protected in plastic so you can show all of your friends! 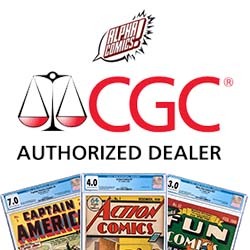 Alpha Comics is acting as the broker for your CGC interaction. 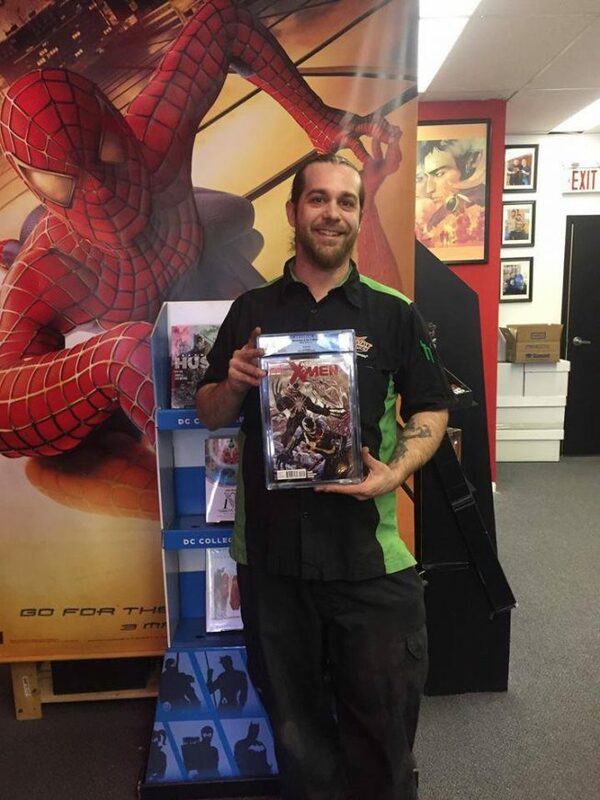 Alpha takes your comic, prepares it for safe travel along with others, and sends it off to CGC. Once it gets to CGC, they start their detailed process of assessing your comic. Since they handle more than 100,000 comics each year, they have to be extremely detail oriented in their approach. The very first day your comic is looked at by a restoration professional. This person knows what is usually done to comics to try to bring the grading up. This includes color touchup, added pieces, using adhesive to bind splits and tears, cleaning and cover re-glossing. Restorations are all noted on the final label and may affect the final grade. Once the restoration pro is finished, the book is placed in mylar and any flaws are noted (like wrong page count, tears, creases, etc). Then it is given a grade. This isn’t the only grade to be given as multiple graders see the book and give their opinion (each doesn’t see the other grades until after they are done). They may even discuss the grades if they aren’t reasonably close to each other. Once grading is done they do another restoration check and forward it on to the encapsulation department. 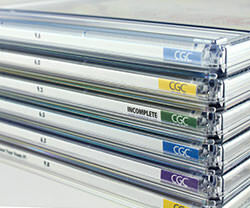 Encapsulating is the process wherein the book is placed in a transparent capsule and sealed with the appropriate label. This is the final product that you get back. Once all of the books are sealed, they are sent to the shipping department, where they are professionally packaged against damage to ship back to Alpha Comics. The timeframe can vary for the entire process depending on the number of comics submitted, the rarity of the comics, and shipping issues (like Canada Customs). You will need patience for this process as there is no way to rush it. CGC has a process that ensures that a signature on a book is 100% authentic. However – if you have a book sitting around with a signature and you submit it to them for grading, you will likely get the Qualified green label (see below). To get the certification on the signature, you will need to get the book signed while a CGC authorized witness can see it and automatically keep a chain of custody on the book while it is graded and sealed. What do the different label colours mean? Blue: Regular label, no special qualifiers or considerations. Yellow: Signature Series (100% Guaranteed Signatures) – Green band indicates a significant defect, Purple band is for a restored book and Grey band is for a significantly restored book. Green: Qualified label – a significant defect was found or a non witnessed signature. Grey: Conservation Grade – book has been significantly restored. There are a ton of opinions on this – but the basics still stand. If you want the best grade possible, don’t read the book (as in don’t open it) and read up on how different new comic defects affect the grade. Basically the more careful you are, the better the grade. One thing you can do if there are creases in the cover is to get a pressing done. Pressing is not considered restoration by CGC and therefore you can undo a multitude of comic issues with this service. Alpha Comics is now affiliated with a pressing service – for more information contact the store. Prices vary based on how old your comic is and/or the value of the book. Best bet would be to talk to Alpha Comics and they can get you an idea of the cost. Remember that these costs can be higher for expensive books because CGC is insuring that your comic will be safe while in their possession. Should you get your book graded? In the end, it’s all about your own opinion. If you have a high value book it makes sense to protect your book. 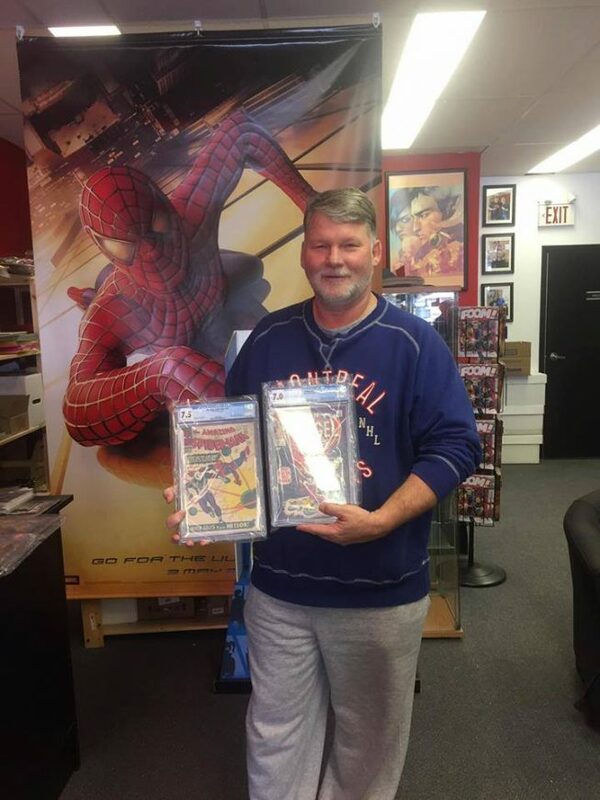 Some people also take their favourite books in to CGC even though they won’t have a great monetary value. Then you can play the comic sweepstakes and take in new books that have a perceived future value and get it sealed while its in great shape. There’s no cut and dried reason to do it, but if you do, the process is solid and will always produce a quality product. 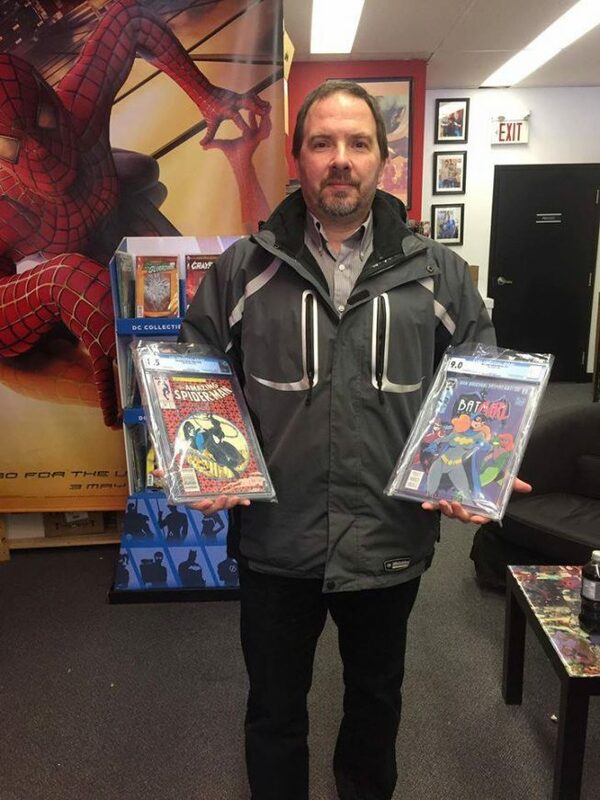 Alpha Comics has already had a lot of happy CGC customers!